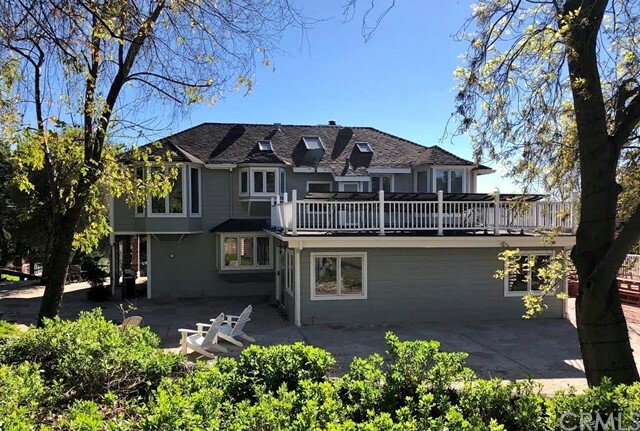 All Ortega Mountain homes currently listed for sale in Ortega Mountain as of 04/25/2019 are shown below. You can change the search criteria at any time by pressing the 'Change Search' button below. If you have any questions or you would like more information about any Ortega Mountain homes for sale or other Ortega Mountain real estate, please contact us and one of our knowledgeable Ortega Mountain REALTORS® would be pleased to assist you. "Amazing deal includes parcel # 901040035 to own 3 homes situated on 2 of the best lots in Rancho Carrillo. The adjacent property is in included: 10920 Fox Springs Rd - 3 bedroom 2 bath. Sited at the end of your private six mile drive hidden along Ortega Highway lies the unique, rural community of Rancho Carrillo. Surrounded by nearly 40,000 acres of wilderness, including the Cleveland National Forest. This community is home to only 75 equestrian and ranch properties, nestled among the San Mateo Canyon wilderness. Rural living while only minutes from downtown San Juan Capistrano and the coastal cities of Dana Point and San Clemente. This property has its own private well. The main home is 3 bedrooms, 3 baths approximately 2550 sq. ft. with an expansive game room, view loft, office and attached guest quarters with it's own private entrance and a 3 car garage. The second home is approximately 1,500 sq. ft., with 3 bedrooms, 2 baths, office, and a one car garage. Rancho Carrillo is much more than an idyllic community hidden from the frantic pace of the City below. Rancho Carrillo is in many ways a throwback to earlier times in California. This property is not part of Rancho Carillo Homeowners Association. The HOA Dues are the fees for the private road maintenance." "Stunning ranch estate on the premier lot in Rancho Carrillo. The property opens to wonderful ocean breezes and spectacular unobstructed views to Long Beach Harbor! The city light views are spectacular. The vista overlooks adjoining wilderness where deer graze in the meadow and hawks fly over head. The 2.68 AC is even more unique as it is virtually level. The 4 bd, 3 1/2 ba, 3,500 sq ft single level house is professionally and newly remodeled which includes a formal L.R. & D.R. plus a generous family room open to the kitchen with new state of the art appliances, separate office w potential of 5 bedroom home. Vaulted ceilings (some 16ft) new flooring and paint throughout. The master suite offers abundant windows with pano views, the all new bath includes walk in shower and soaking tub,all new vanities and two walk in closets. The all new/remodeled kitchen features new builtin Jenn-air refrigerator, stove top and double ovens, new kitchen aid dishwasher with stone counter tops and two walk in pantry's. All new Jack and Jill bath features designer tile, new toilet, new vanity and stone counter tops. Just completely remodeled 2 stall barn with room to expand, tack and feed rooms along with inside cross ties and shower for all weather types complete with excellent circulation and sliding windows and doors. The large arena accommodates for Hunter/Jumper and Equitation jumping. The large pasture and mid-size turn out complete horse experience . R.V. garage located"
"Last of it's kind! Located about 1/2 mile off Ortega Highway enter at Morrill Canyon drive down a Rustic Road until you come to the first home on the right hand side. 17.56 Acres of Land zoned Agricultural/RR this property has had horses on it and years ago was used for planting squash and pumpkins! Property has two older manufactured homes on it and is partially fenced. There are oak trees and rock formation on the back side of the hill. This property has potential and comes with its own well water. Creek (seasonal) and horse paddocks are set up and currently used for animals. This could make someone a great ranch property! Minutes to the beaches of South Orange County yet just far enough away to feel Country...Call for showing! Located directly behind the Candy Store Camp Grounds!" "Introducing Southern California s premier coastal equestrian refuge, The Franklin Ranch. A 2.57acre private estate located just 8 miles east of the historical town of San Juan Capistrano. 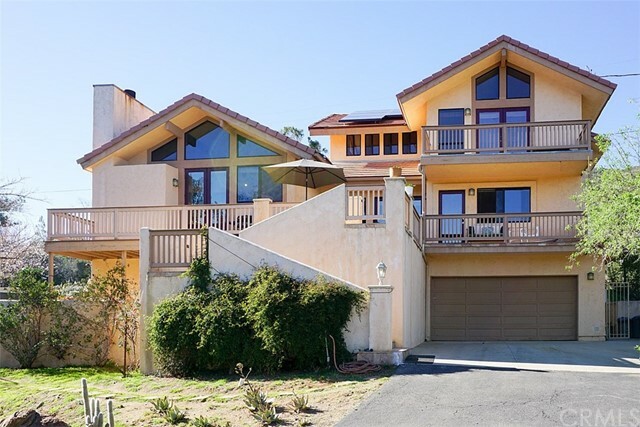 Encompassed among 38,000 acres of San Mateo Wilderness, this log home provides the luxury of seclusion yet the ease of city access having Dana Point harbor within 30 minutes drive. The 6 mile private road meanders through the hills and leads to the quaint and secluded community of Rancho Carillo. 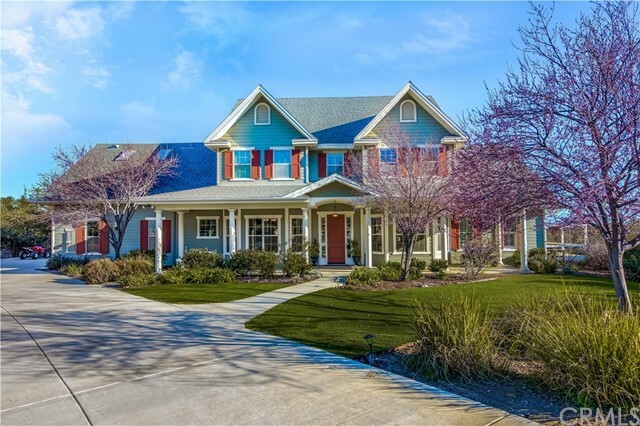 As you enter through The Franklin Ranch s wrought iron gate, fruit trees immediately greet you and the Italian Cypress tree lined driveway escorts you to the home. The 9 stacked-log construction invites nature & warmth into the home and the floor to ceiling stone fireplace reaches high into the cathedral ceilings bringing depth into the space. The open concept floor plan speaks community & invites light in from the expansive windows throughout. 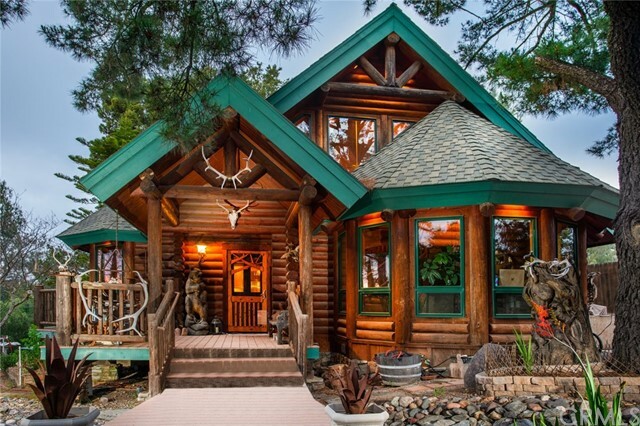 This generous 3 bedroom, 3 bathroom log home is exactly where you want to relax after a long days work. The Franklin Ranch is comprised of many luxury features but not limited to a 5 stall barn with direct forest & horse trail access, 5000 gallon Koi pond with cascading waterfalls, a 2 bed 2 bath guest house & 2 car garage, ornamental cactus garden, working chicken coop, & a unique free-standing log-sided garage where the materials were collected and used from the Roy Rogers museum. A rare opportunity for Southern California and a special place to call home." 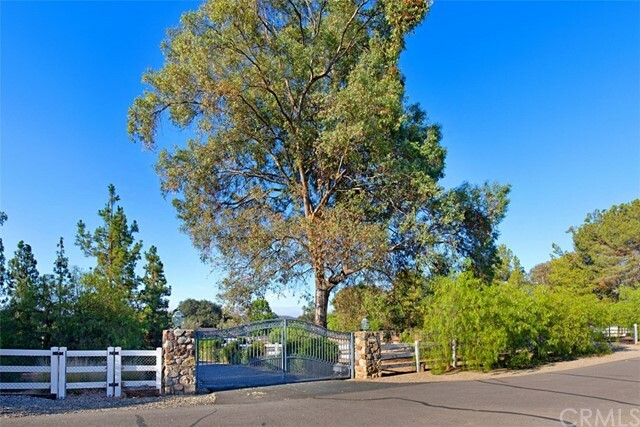 "Breathtaking Mountain Views from this exclusive gated 2.72-acre fully usable exterior lot in Rancho Carrillo. 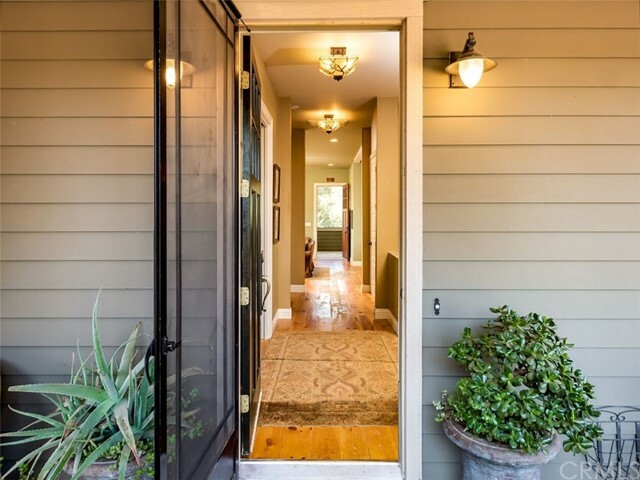 Charming single-story ranch home with gorgeous French front doors leading to an open floor plan with raised ceilings. The home was completely remodeled in 2012 with soapstone counter tops, custom kitchen cabinets, flooring, stainless steel appliances, all new plumbing and lighting fixtures throughout. The remodel included a 5-stall custom barn with turn outs, hay storage and tack room. Property features multiple pasture turn outs and an 80 round pen with rubberized footing. The improvements did not stop there. In 2014, an 1100 Sq. Ft. master bedroom, office suite and laundry room addition were completed making this property picture perfect. Relax and enjoy a cozy wood burning stove and beautiful mountain views from the living rm and master bedroom. 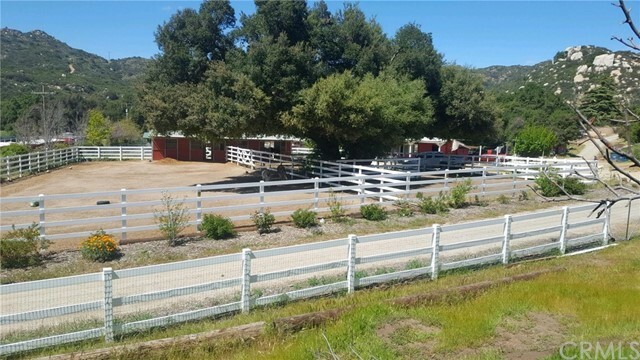 The lot is fully usable allowing 8 horses and offers direct access to miles of endless riding and hiking trails of the Cleveland National Forest. Rancho Carrillo is the affordable private Community with the entrance located only 8 miles off the Ortega Highway from the 5 Freeway." "Sprawling mini country estate just east of San Juan Capistrano in the gated community of RANCHO CARRILLO. SPECTACULAR VIEWS of rolling hills, sunset and city lights. Two free standing COTTAGES for caretaker or office. Main house is an ENTERTAINERS PARADISE with 1,500 sq. ft. deck overlooking this premium view and another 1,500 sq.ft. Arizona stone patio with large gas fire pit. The main house has open kitchen, has bay window over sink, modern 6 drawer fridge/freezer, wine fridge, plenty of counter space and storage and antique O'Keefe & Merritt stove, adding to the country vibe. Living room and large family room/den with real oak floors, custom shutters and pocket doors overlook the large terrace. All bedrooms upstairs with spectacular views, and 2 full bathrooms with marble tile floors. Half bath downstairs. Two car garage with work room and extra large storage. Ample parking. The property includes a four horse MARE MOTEL (36 x 36) with plenty of shade, stud panels and separate tack room and feed shed. Three PADDOCKS with four rail fencing, plus 60 foot ROUND PEN . A 3,000 gallon, private, in ground water tank captures rain gutter run off. Over 6000 sq. ft. of interlocking PAVER DRIVEWAY This unique home offers COUNTRY LIVING, CITY CLOSE lifestyle, with unlimited HIKING AND RIDING TRAILS in the protected wilderness of the Cleveland National Forest yet is minutes away from Dana Point Harbor and South County shopping. Owner is a licensee." 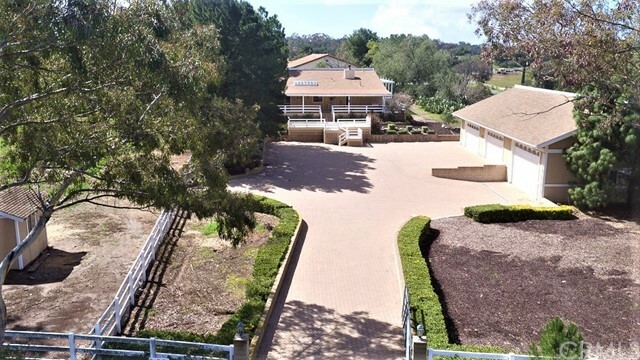 "Canyon Oaks Ranch~A Premier Equestrian Property w/ current income revenue! Are you looking for an existing ranch all set up and ready for your horses? Located minutes from Orange County beaches & shopping yet far enough away from all the hustle and bustle. Enjoy your easy country living home and equestrian facility. This property has been the go to destination for many of the surrounding vets when lay ups, rehabilitation or foaling care has been needed. Sparkly-Clean environment, with attention to details for horses needing special care. Large pens (20), newer 24x48 hay barn, 60 ft. round pen, full court dressage arena, 2- 12x48 shed row barns, office, feed room, treatment room, tack room, hot water wash rack, grooming/farrier x ties & more including vegetable gardens, fruit trees, goat & chicken pens all gated & fenced. Owner has maintained this beautiful property & restored a c1920 2 bd 1 bath ranch house w/ sun porch. This home has been used in past as a VRBO as well as a movie location site. Also included are a 2 bd 1 bath 2013 manufactured home w/ separate laundry & carport, a studio apt over a garage w/ 1 bath and a full kitchen as well as a newer Jayco travel trailer with 1 bed 1 bath w/ kitchen. This stunning property sits on almost 10 acres w/ a seasonal creek, access to miles of trails & is private & gated. Own your own water, well storage tanks, drip irrigation & an outside guest bathroom. This is your chance to own your own ranch & enjoy a unique tranquil setting!" "If your heart aches for the country, but you work in town, this is the home for you. If you're a car buff or have an RV, but are stuck with a small garage, this is the home for you. If you want horses & miles of trail riding, this is the home for you. This comfortable 3 bd 2 ba ranch home is nestled on 2.9 acres in the pastoral Rancho Carrillo community which is surrounded by over 39,000 acres of forested wilderness land. An expansive interlocking paver driveway enters the courtyard where to the right is the tandem 6 car 2800 sq ft garage, RV side of garage is 24 ft wide, 39 ft deep x 12 ft high & a workshop. Ahead is the ranch style home, flanked on the left and the right by two fenced pastures. A hay barn with roof shelter and a chicken coop complete the outbuildings. The master bedroom and secondary deck feature a lovely city lights view at night. Swim in the community pool, ride in the large groomed arena, or enjoy the recreation center building which also houses the volunteer fire department. Or hike or ride for miles in the oak-laced wilderness trails. Come see this wonderful property located within minutes of Dana Point Harbor & Orange County beaches, and a wealth of dining shopping." "Have you ever imagined owning your own little slice of heaven? Now is your chance! 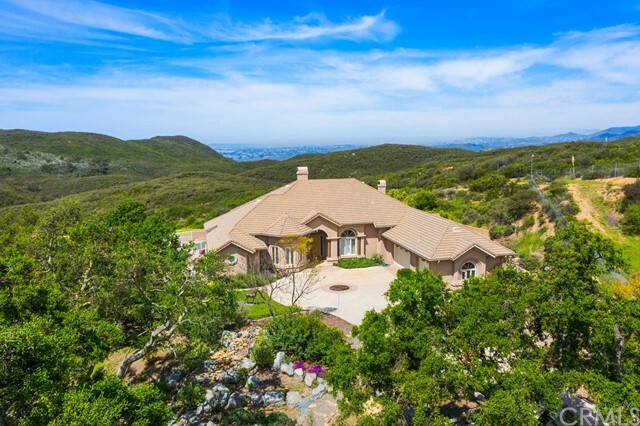 Located in the wonderful equestrian community of Rancho Capistrano and encircled by the Cleveland National Forest off, you will find a majestic hillside estate. 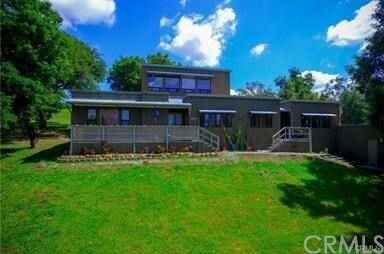 This private paradise sits on a 4.4 acre double corner lot with Mother Nature s finest trimmings. One hundred foot tall Spanish oak trees and giant granite boulders surround the property making it not only one of a kind, but utterly breathtaking. This property features a 1300 sqft barn with 2 stalls and a loft, as well as an extra large corral that gives horse lovers everything they need. If one barn isn t enough, the second barn will give you all the storage space you could ever need and the multiple fenced in areas allow plenty of room for animals of all kinds. The back yard has a beautiful south facing salt water pool that will let you relax and cool off on those hot days. At the heart of the property sits an incredible four bedroom, two and a half bath home with incredible views from every corner. This beautiful home features vaulted wood ceilings, an open floor plan, a master suite with 180 views, a wrap around deck, a screened in porch, wood floors, a rock fireplace, and an office so you never have to leave the ranch to get work done. The biggest challenge with this amazing ranch is deciding where you want to spend your time. The pool?The screened in porch? Master retreat? So many options, you'll never want to leave." "Exquisite Rancho Capistrano equestrian estate on 2.55 acres with the latest luxuries of modern living! Elevated lot provides expansive panoramic mountain & city light views! 2007 construction w/cathedral ceilings, light & bright, featuring 4 bedrooms, super media bonus room, open loft, dual staircases, & 3.5 baths! Spacious & impressive at 3,619SF, yet warm & homey feel. Gourmet kitchen w/granite, Jenn-Air double oven, Kitchen-Aid French door refrigerator, new microwave w/vent hood, large island & breakfast bar. Formal & informal dining areas. Living & family rooms w/wood burning fireplace, & dedicated laundry room. Main level master suite, walk-in-closet, soothing jetted soaking tub, shower, & dual sink vanity. Quality hardwood flooring down, new carpet up. 3 comfortable upstairs bedrooms, open loft, & grand bonus/movie room w/motorized screen & surround sound! Enjoy shutters, dual A/C w/WIFI thermostat & newer Lennox compressor, alarm system, wood shutters, & dual propane tanks. Extensive, sprawling yard features it all: saltwater solar heated pool & spa, fire/ice fire pit, 8 hole putting green, artificial turf, horse arena, chicken coop w/run, patio dining areas, sun deck, mature landscape, screened & raised planting area, grapevines, sprinkler system, fully fenced backyard & pre-plumbing for gas/electric BBQ island! Direct access 3 car garage. Long driveway for privacy on a cul de sac! Less than 30 miles to Rancho Mission Viejo & SJC. View interactive 3D virtual tour!" "Outstanding Views! Beautiful property with lots of trees, plenty of space for garden, horses, animals, living. Property is literally on the Orange County/Riverside County line, backing to wide open spaces! The gated drive leads you up to this 3 bedroom 2 bath main home with a seperate Granny Flat below. Lots of charm and windows to take in the light and views which surround you. The home is a tri-level with Master and Bath upstairs with a nice space used as a library or music room. Main Level has two bedrooms with a bath and laundry area a foyer which enters into sweeping tall ceilings, a nice living room with large rock fireplace, open to kitchen with 100 year old clapboard paneling, a large counter bar with cooktop all opens to separate breakfast nook overlooking the pond and fountain. A formal dining area or game room with outstanding views of the mountain. Located minutes from OC and Lake Elsinore, this mountain home is truly one of the nicest on the Hill. Has solar electric and propane. Come see this newly painted, carpeted and renovated home with attached garage with plenty of RV parking available and huge storage rooms! YOU will love it!" "LIVE AUCTION - BIDDING TO START FROM $499,900 - This Custom American Craftsman home in the Exclusive Rancho Capistrano Gated Community nestled in the Cleveland National Forest sits on 2.3+ acres! Picture yourself on the lovely covered front porch enjoying the expanse of night sky! As you enter, you will feel the coziness of the wood floors and the spaciousness of 10 ft ceilings. Downstairs are your own Library, Full Bath, Dining Room with a Butler's Pantry, Kitchen, Morning Room, Living Room with fireplace and a large enclosed patio that overlooks the property. Upstairs are 5 bedrooms, one being used as a workroom with adjacent laundry room. Also is the Master bed and bath privately situated at one end of the hall and three addition bedrooms and a full hall bath on the other end of the hall. Everything in this home is designed and built to be an efficient use of space with smooth lines and clean design, true to the American Craftsman style. This home has a total of 2760 sq ft with 5 bedrooms and 3 baths. Outside you will find a freshly painted exterior with tile roof & rain gutters connected to an 2200 gallon tank used to collect rain water. Completely fenced all around with a seasonal stream at rear of property. Room for horses, RV, Boats and plenty of parking! Garage is an oversized 2 car garage. Don't miss this home! All offers encouraged!"